In view of the foregoing, we hope a comparative study covering practical aspects and different perspectives regarding PPP issues will become an important tool for the strengthening of this model worldwide and will bring about a better dissemination of best practices implemented by private professionals and government authorities working on PPP projects around the world. Bruno Werneck received a bachelor’s degree in law from the Universidade de São Paulo and an LLM degree from Columbia University, where he was a Fulbright scholar. 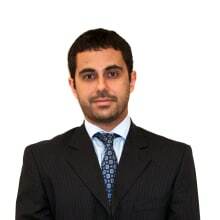 He previously served an assistant to the President of the Brazilian antitrust agency, CADE; a consultant for OECD, an international associate at Cleary Gottlieb Steen & Hamilton in New York, and a partner at Mayer & Brown in São Paulo. He has taught public law and corporate law at Universidade Federal do Rio de Janeiro, Instituto Brasileiro de Mercado de Capitais and Fundação Getulio Vargas em São Paulo. He is a member of the São Paulo Bar Commission on Corporate Governance and Infrastructure and the author of many articles on regulatory issues and government procurement. 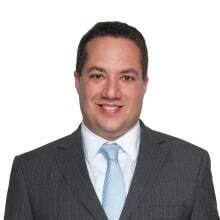 Mr Werneck focuses his practice on the infrastructure, mining and energy sectors. He advises domestic and foreign clients on project development, concessions, publicprivate partnerships, joint ventures and mergers and acquisitions in the infrastructure, mining and energy sectors. He has in-depth knowledge and experience representing clients in their negotiation of construction, supply, take or pay and other complex agreements. His practice includes negotiating with regulatory agencies and government authorities to obtain permits and approvals and tax benefits, and with Brazil’s Development Bank (BNDES), multilateral development banks and commercial banks to obtain financing. He has been involved in leading privatisations, concessions and PPP structures in Brazil. Mário Saadi received a law degree from Fundação Getulio Vargas and a master’s in administrative law from Pontificia Universidade Católica de São Paulo. Mr Saadi is currently working towards his doctorate degree in administrative law at Universidade de São Paulo. Mr. Saadi has broad experience with concessions, PPPs. and other infrastructure projects, and financing, focusing his practice on the logistics sector, including ports, airports, roads, railways, and undergrounds transportation. He is also a member of the Federal Council for Infrastructure of the Brazilian Bar Association, an arbitrator in the Chamber of Arbitration and Mediation for the Paraná Industries Federation and author of the book Private initiative procedures in the Brazilian legal system.